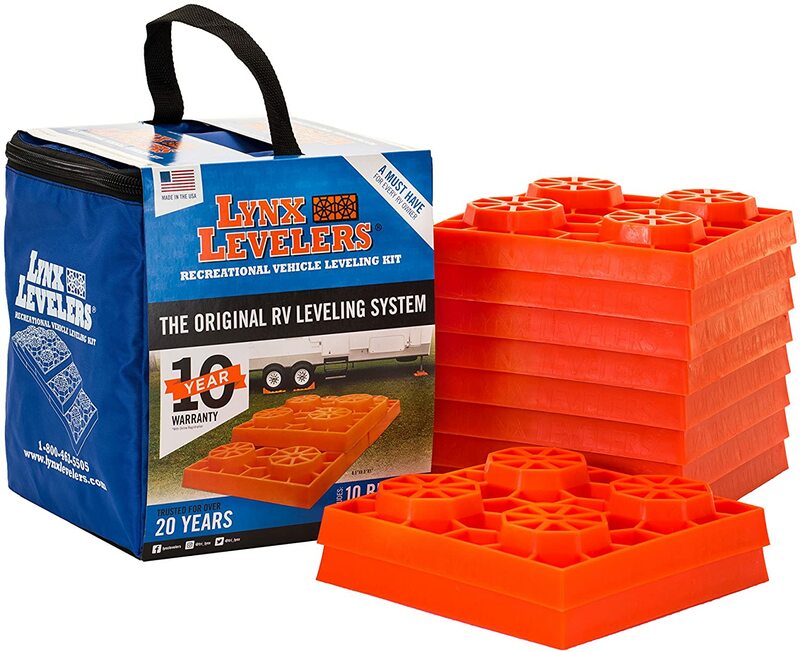 00015 10 pack Lynx Leveler - These bright orange Lynx Levelers will help you get rid of that messy, dirty pile of lumber you carry around to help level your RV. These Lynx Levelers come 10 to a package in a carrying case with a handle and can be used in a variety of applications for all your leveling and stabilizing needs. Use them as a base under stabilizing jacks so that the feet do not sink in soft terrain, stack them to help raise one side of your RV to get it level, so many uses. 3 Year Manufacturer Warranty. 10 per package.